We came to Philippines with high expectations. After 2 days in “crazy and diverse Manila” and 1h flight we arrived in Puerto Princesa in the evening. Our accomodation was close to the airport so we walked to the place. We stayed at Color Mansion. On our way we saw some places with cheap food and drinks ( almost half then in Manila), nice live music and chill vibe. We had a first feeling that we will love it here. Since it was evening the tours agency’s wore closed, also the motorcycle rentals so we went in a bar with live reggae music, had some sizzling meat with rice and cold San Miguel beers. 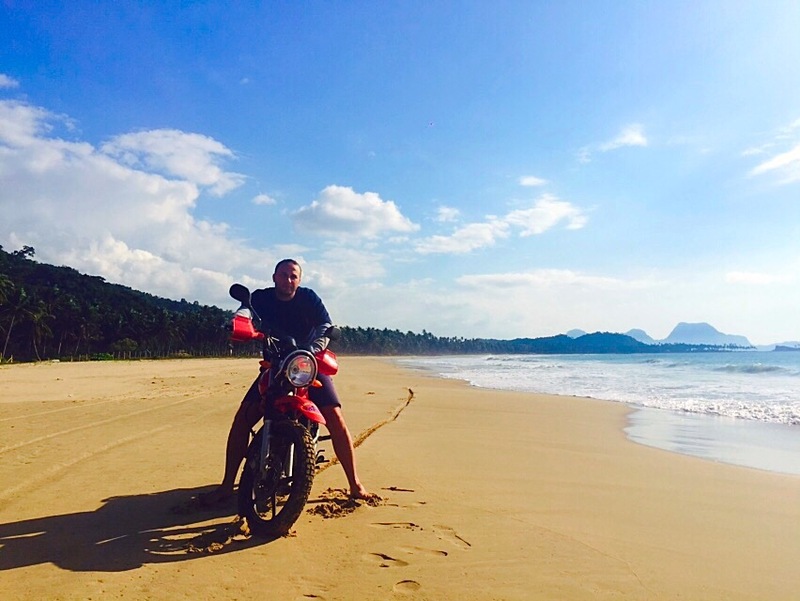 We decided to rent the next day a motorcycle to explore the island. As we wore tired, we woke up pretty late. 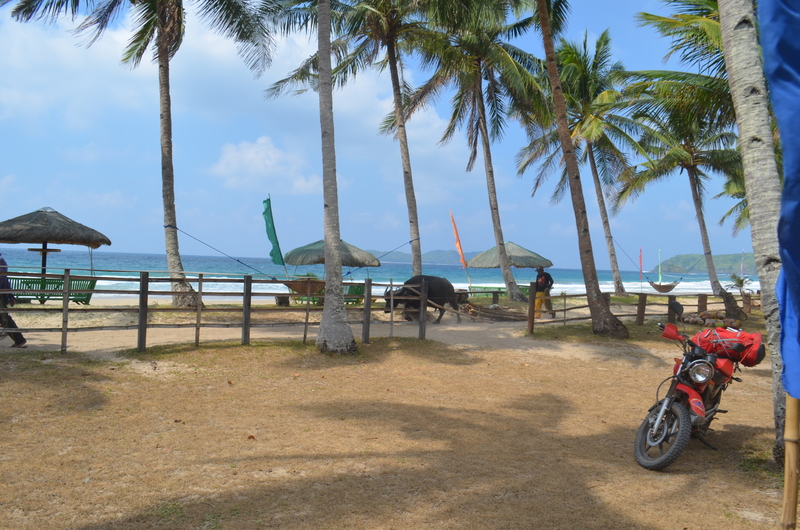 We found a good 125cc motorcycle to rent for 600 php/day and went around the city looking for a place to eat..brunch. We found probably the only seafront restaurant Badjao Seafront Restaurant and we enjoyed the food and the surroundings. I had the specific Filipino chicken adobo with coconut milk and Tudor, as always, seafood. Early morning, 10 am :), we left Puerto Princesa and head to El Nido. We didn’t knew how it will be the road, just that we have 260 km to drive till there. It end up to be a good road, just the last 20 km are unpaved , we made 6 hours and the journey was fantastic. Here is a time lapse video of this ride. We crossed through villages where people waved us and children saying “hello ” all the time, nice views over the sea, we crossed the tropical forest and rice fields. The only problem was that the motorcycle was the most uncomfortable we had till now and every 50-60 km we had to stop to stretch our legs. And at the end of the day I end up with a sunburn on my back and right leg. At 4 pm we arrived at our accommodation in Corong Corong beach. The room had a great view over the sea and the small islands of the archipelago. Pure paradise. We spend the rest of the day walking on the beach, sea the sunset, dinner on the beach and a 1h full body massage with aloe vera to heal my skin :). You can enjoy here a hypertimelapse of this magic sunset. I was imaging me sleeping like a baby after this, but what was paradise during the day it end up being a nightmare in the night. We could sleep at all because of the people partying next door, chatting,dogs barking all night, insects and mosquitos. We decide then to leave to a different place. In the morning we packed and went to find another place to stay. 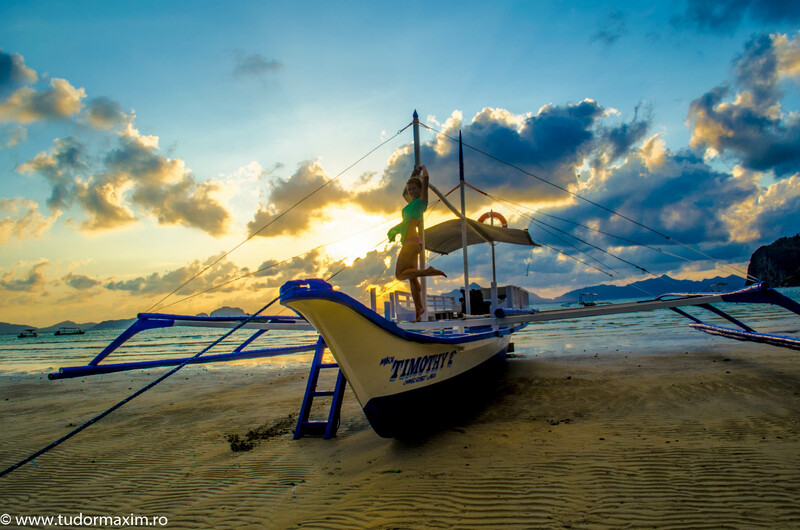 We had big expectations from El Nido and I am sure that was the problem. We couldn’t find that peaceful place we wore looking for. You have amazing scenery but the place is packed with tourists, shops, bars, restaurants and tours agency’s. Too crowded and commercial. We only had breakfast in El Nido, with a great view over the islands and went straight to Nacpan Beach, another promised paradise. After 17 km on a unpaved road and with the help of some locals we reached the beach. It was around 1 am and in the place we arrived there wore around 30 foreigners on the beach and another 8 behind us with the scooters. Seems like we wore not the only one, but almost all of them went back to El Nido in a few hours. We found a great place to stay almost at the end of the beach, Jack’ Place. 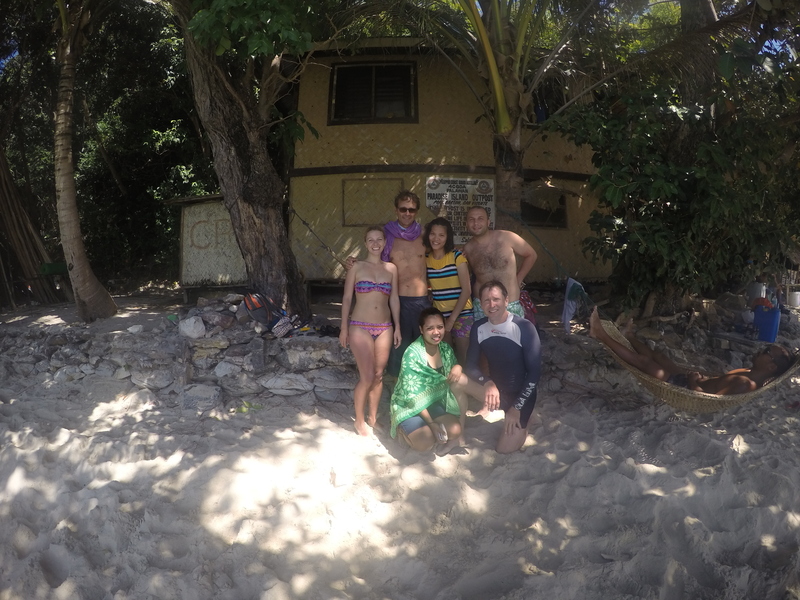 We had a cottage on the beach, under the coconut trees and the beach in front of us, just for us :). Finally!! I will say this is the real Palawan, maybe like El Nido was before the asalt of the mass turism. We are really happy we are now here, decided to finally relax here for another day before going to the “must do” island hopping in El Nido. We spend the hole day doing absolutely nothing, and we enjoyed every minute of it! The clock alarm somehow didn’t ringed and we wake up at 8:45. Panic! We packed our things in 5 minutes and drived the motorcycle on the unpaved road like in Need for Speed movie. 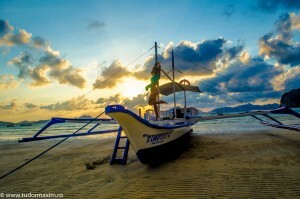 We arrived in El Nido in the last minute and we jumped in one of the boats. It was with tour A and another 14 people on the board. The island hopping was great. We stopped first in a tiny island, 7 Commandos, and get used with our snorkeling gears there. After this, we went to a place called Big lagoon where we also did snorkel. The world under water is truly amazing, you can just stay for days to watch all the corals and fish. Then secret lagoon, small lagoon and lunch on the boat. We finished the tour around 4 pm and in a hurry we left from El Nido to Port Barton. Another need for speed ride, and we got there at 7 pm. We managed fast to find accommodation and book a tour for the next day. We went in the town and had beers and a good soup on a popular bar on the beach. Another night with not so much sleep because of the mosquitos, chickens, rousters, dogs.. Early morning for us, at 8.30 we left for the island hopping tour. Although we booked a private tour, we ended up on the boat with another 2 common couples around the area : He, 40 years old American guy, she, 25 years young Filipino girl :). 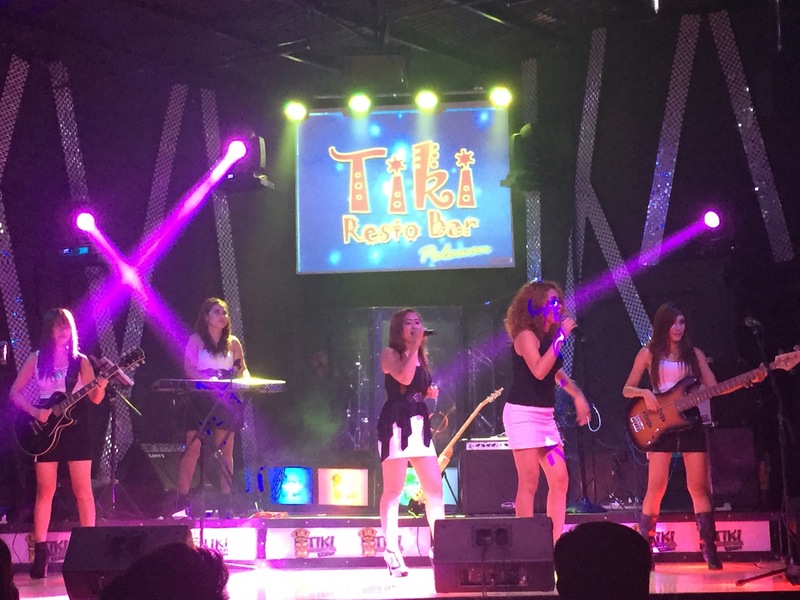 This tour was way better and cheaper then the El Nido tour. We stopped in the open sea for snorkeling over great corrals in 2 places then had lunch on this paradise island called German Island. Another short stop on a different island for some pictures and we came back in Port Barton because we had to drive till Puerto Princesa and be there to return the motorcycle at 5 pm. Rest& dinner for the rest of the day and early morning we flight back to Manila. Budget: We spent in 7 days a total of PHP 18393 (392 euros) for two persons ! 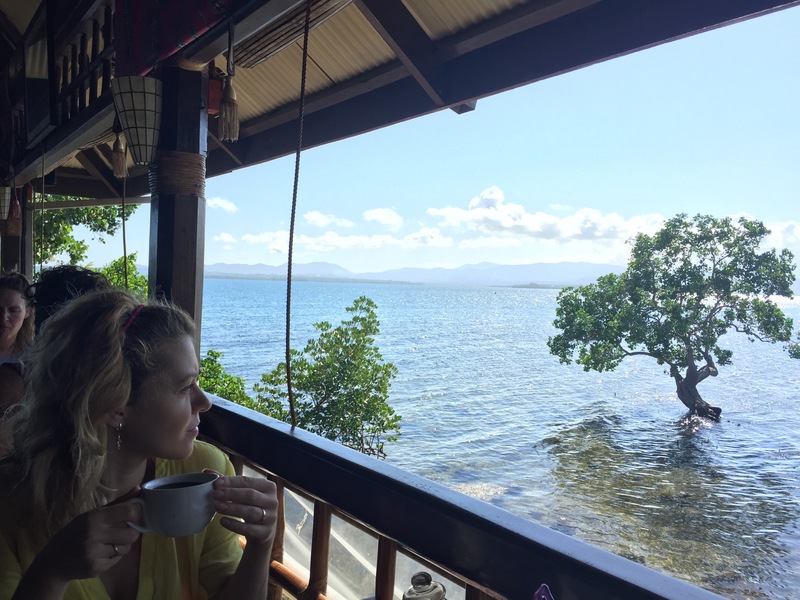 Traveling to Philippines, for us, is different than in the Thailand, Vietnam or Laos. Although we are in a 4 months trip, we will spend here 1 month. Because of so many islands and because was hard to find on the Internet the in land or by sea the connections between this islands we took several flights in advance. So, we allowed to Palawan only 6 days. Big mistake. If you have no stress about the time, you could spend easily more time here. 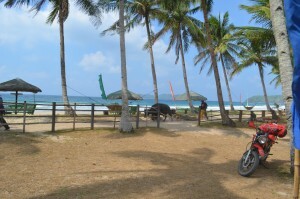 If you arrive in Puerto Princessa like us, in the evening, you need the next day just to figure out transport to El Nido, tours, or a place to rent a motorcycle. If you can book all this in advance is great but needs some work before. A tour to Underground river and you need another day. 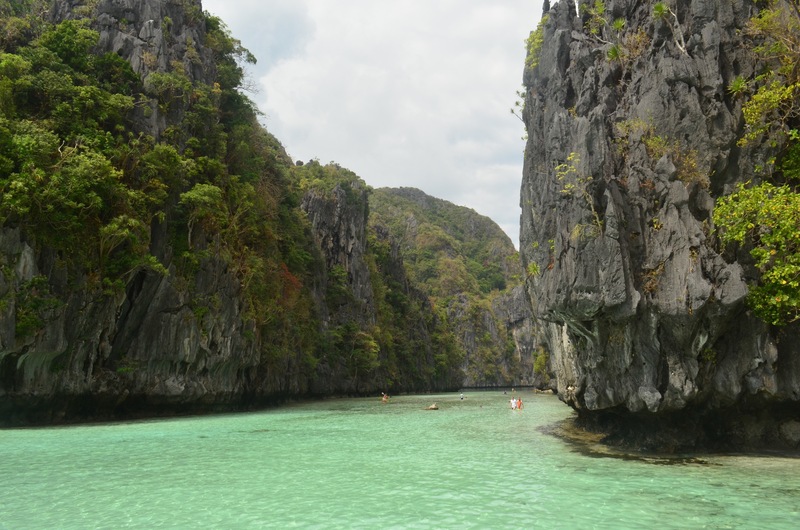 In El Nido, depending in how many Tours you want to go you have to spend at least 2-3 days. Then comes the Nacpan beach and Port Barton. I will say THE PLACES, where you can spend easily 2-3 days in each. 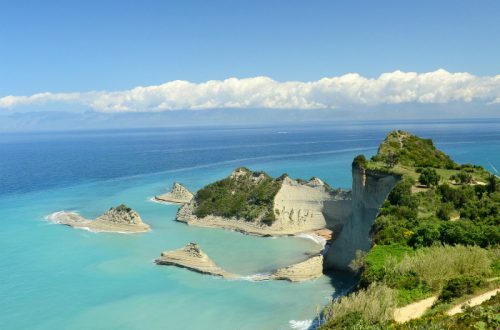 Not so touristy, laid back atmosphere, serenity, great islands Tours. The paradise we wore looking for. 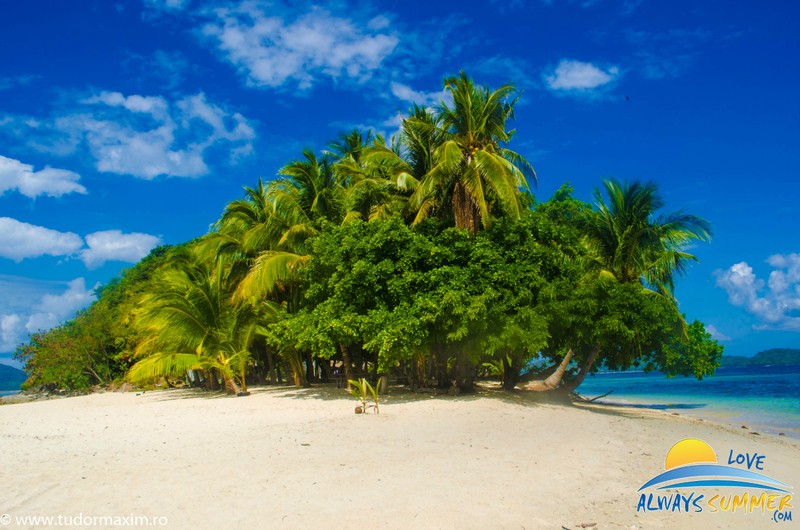 I think when it comes to beaches, Philippines is the place to come. 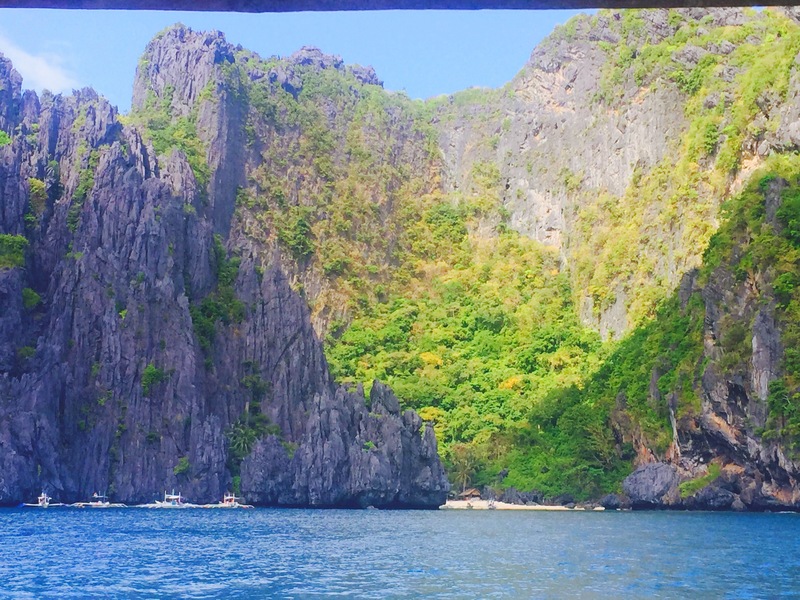 And Palawan is definitely the cherry on the top of the cake. I can’t wait to take my boyfriend here. I hope he doesn’t get sunburnt like when we spent 4 days in Caramoan. Do you think it’s possible to camp for free at Corong corong, Port Barton and Nacpan?